Graham Coult. The Legal & General Cycle to MIPIM 2016. Thu 10th March 2016. "It's a great opportunity to really push myself to do something I haven't done before. Knowing that the effort goes to raising money for a fantastic charity will make the long training hours and painful rides worthwhile." I agree to my details being passed on to Club Peloton for them to contact me in the future, about the important work they do. collated donation from Da&Zoe, Goldsmith crew and Dan&Georgie. Well done on not dying. Here's some belated sponsorship! This donation if from Keith Tilson. Thanks Keith! Great work!!!!!!! Get stuck in to those well deserved beers! Well done buddy!!! Enjoy a beer.......or 2!!! Well done Graham! Great effort. Well done Graham! Huge effort. Ben & Liz ps. I bet your backside hasn't been this sore since you spent that night in the cells !!! Good luck Graham! Almost there I heard! Tough ride. We will do it with Francis E. in June. Hope you find good weather. Enjoy!! 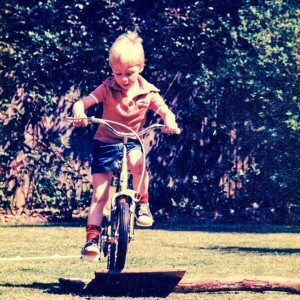 Have a great ride Graham! Good luck Graham, what an epic mission! Well done, Graham. You're mad, but a great charity. Good luck Graham! Another challenge, this time to support the young generation. Way to go Graham! Peddle hard for us! Good luck Graham Sounds like an amazing experience! I cannot find a reason not to sponsor you! Have pain and have fun! This is wonderful! Epic and very happy to be part of this .... to the very least, I do not need to be on the saddle for 1500KM.. best wishes! G. This is a fantastic event man. I want to see your Lycra when we meet up next month. Stay well greased up at all times. You can do it. If you need a good rub down I have found a good contact. Good luck, Graham - I hope the weather smiles on you! Great effort G-Man. Better start training. Well done Graham taking on this challenge and for a great cause. May the wind be with you. I am very proud to support my son in this race, may he have a injury free arrival in Cannes. As I got you to sign up for this the least I can do is be the first to sponsor you! 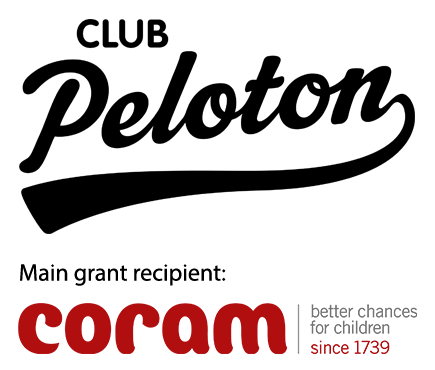 Club Peloton is a fundraising charity, which uses cycling as its platform for challenge events, bringing together a love for the sport and the opportunity to raise money for great causes. Our main beneficiary is Coram, the UK’s oldest children’s charity. Club Peloton is a grant making charity and business network that raises money to improve the lives of disadvantaged young people through cycling initiatives. Our main grant recipient is Coram, the UK’s first ever children’s charity that has been supporting vulnerable children for over 275 years, and is still finding new ways to help children. They now help more than 1.25 million children and young people every year. Their flagship service, Coram Adoption, is the most successful voluntary adoption agency in the UK, with a 99% success rate. They find loving and secure homes for some of the most vulnerable and hard-to-place children in the country, and their highly skilled and experienced social workers offer adoptive families support for life. Last year, Coram made 230 successful adoption placements and, with the help of Club Peloton, hope to help even more vulnerable children and young people in 2016. Club Peloton will be supporting Coram’s vital programmes, with a specific focus on Coram’s unrivalled and pioneering adoption service. For more information please visit: www.coram.org.uk.